The Sensex rose over 200 points while Nifty was back above 10,400. Overnight, on the Wall Street, the Dow Jones Industrial Average rose 336.7 points. The domestic equity markets turned negative in afternoon trade on Tuesday. The S&P BSE Sensex lost 161.95 points or 0.48 per cent and was trading at 33,584.83 at 2:48 pm. The broader Nifty50 was trading at 10,316.90 level with a loss of 41.95 points or 0.40 per cent. 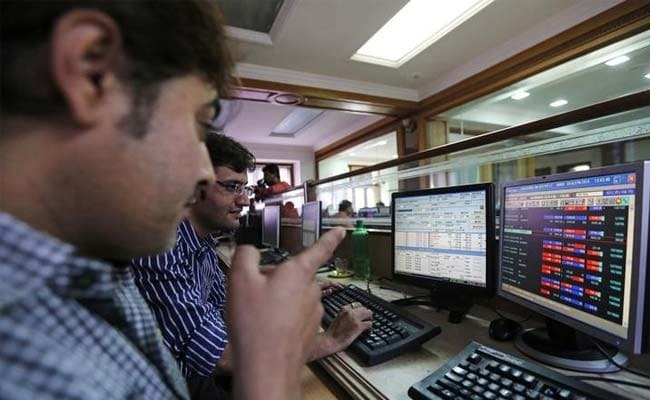 ICICI Bank (2.59 per cent), State Bank of India (2.20 per cent), Sun Pharma (1.94 per cent), M&M (1.76 per cent) and Tata Consultancy (1.24 per cent) were the top laggards in the 30-share Sensex pack. Asian shares regained some ground on Tuesday after US President Donald Trump faced growing pressure from political allies to pull back from proposed steel and aluminium tariffs, easing investor worries about an imminent trade war. In the morning, Sensex rose over 250 points while the Nifty inched closer to 10,450 mark. Overnight, on the Wall Street, the Dow Jones Industrial Average rose 336.7 points, or 1.37 per cent, to 24,874.76, the S&P 500 gained 1.10 per cent while the Nasdaq Composite added 1 per cent. Wall Street shares have now recouped all the losses incurred after Trump unveiled a plan to impose tariffs on steel and aluminium late on Thursday. Sentiment was also supported by receding risk aversion in Europe with the euro gaining support from the creation of a coalition government in Germany. The impact of Italy's inconclusive election results was also limited to a mild sell-off in domestic bonds and stocks. MSCI's broadest index of Asia-Pacific shares outside Japan today rose 1.3 per cent while Japan's Nikkei jumped 2.3 percent, a day after it hit a five-month low. Leading Republicans, including House of Representatives Speaker Paul Ryan and Representative Kevin Brady, turned up the pressure on the US President to rethink the plan on Monday. The spectre of a trade war was not the only source of concern for the stock market. As the global economy steams ahead, investors have become increasingly concerned that US inflation, which has been subdued since the 2008 financial crisis, could finally pick up. While moderate inflation generally supports equity investors, rapid inflation, or fear of it, could prompt the Federal Reserve to hike rates faster, undermining the attraction of equities.